Custom Asphalt Paving brings over 35 years of paving experience and knowledge to every job with customer satisfaction, quality work, and competitive prices. 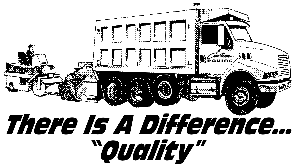 We are a family-owned, 3rd generation paving company using ‘state-of –the-art equipment to get any job done large or small! For more than 35 years, we have worked hard to gain a reputation as a company where quality is always number one. Our work is guaranteed, and we can provide references and insurance information upon request. Established in 1981, Custom Asphalt Paving provides all types of blacktop and paving services including residential, commercial and industrial work, seal coating, resurfacing, and pavement repairs. Whether your paving needs are for a driveway, parking lot, or private road, call Custom Asphalt Paving for a free estimate today!